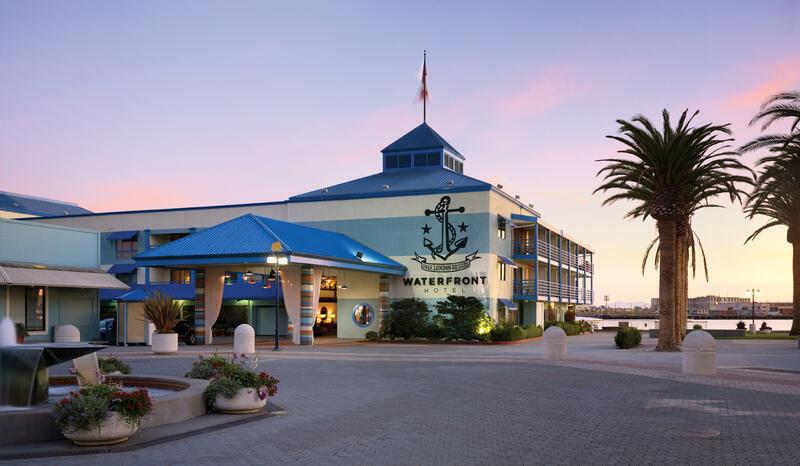 The Sunny Side of the Bay is THE city to host your next meeting, convention or event. Oaklands hotel meeting spaces range from traditional to unique and under the stars to under the streetlights. All affordable, all accessible. The Towns largest meeting venue, The OCC features 64,000 sq. ft. of newly renovated space. The center is located next to a BART station and connected to the area&apos;s largest full-service hotel the Oakland Marriott City Center. The Marriott boasts 36 additional meeting rooms, bringing the sq. footage up to a whopping 89,000 sq. ft. perfect for a large group. Located near tons of restaurants and bars you&apos;ll have plenty to do outside of the hotel at this great downtown location. 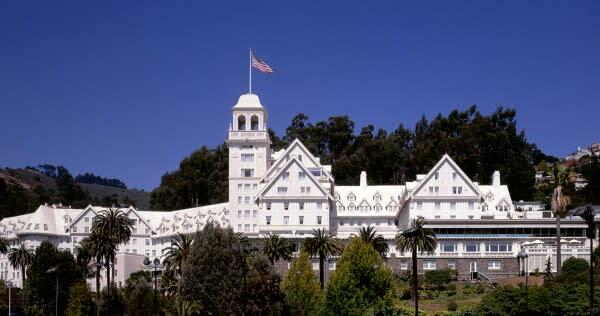 With some of the best views in the Bay Area, the Claremont and its 24,800 sq. 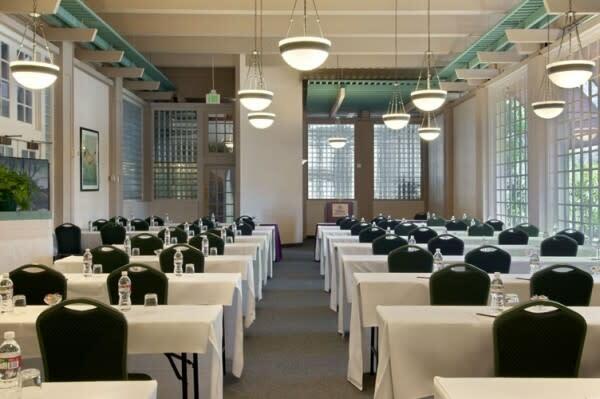 ft. of meeting space sits atop the Oakland/Berkeley Hills. You wouldn&apos;t guess the property is celebrating its 100-year anniversary based on modern amenities you and your attendees will find here. And, in 2014 the hotel was purchased by the Fairmont Hotel brand, and will be undergoing a multi-million dollar renovation. Fill your stomach at the new Rockridge food tour and experience some of what makes the Oakland food scene so popular. This meeting space is great for all types of groups. Planners love the 16,000 sq. 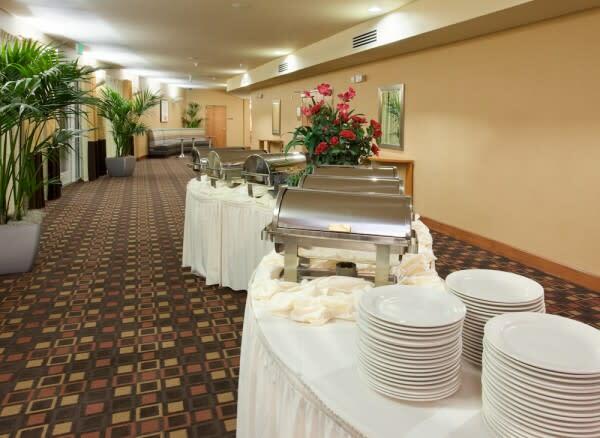 ft., 16 meeting rooms and ballroom that are but a complimentary shuttle ride away. This convenience for business travelers can&apos;t be matched. Need a team building activity? Lucky for you staying here puts you close to all of Oaklands professional sports teams. Grab tickets and check out a Raiders, As or Warriors game. For a more intimate meeting, you can&apos;t go wrong with this (you guessed it) hotel on the water. The Joie De Vive brand ensures you the level of service you expect, and space is bright with a quaint nautical charm. Fun and adventure are steps from the front door with canoe and kayaking as well as the brand new multi-purpose event space, plank. Perfect for a fly in fly out option or board meetings, the Holiday Inns dedicated meeting staff will help make your next meeting a success. You&apos;re also close to the Oracle Arena and O.co Coliseum to catch an NBA, MLB, or NFL game! Oakland has plenty more places to bring your meeting, check out the full list of meeting venues or send in your RFP to learn more.